Since 1973, German Auto Service and Sales has been downtown Phoenix's premier BMW repair shop and less costly alternative to the dealerships. We offer the best, both in independent sales and service by using only O.E. 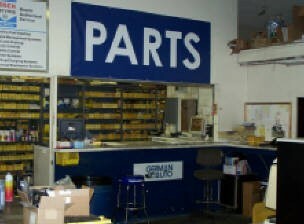 BMW parts and service procedures. We have the latest and greatest service information, tooling, diagnostic capabilities and trained technicians to preform all of your BMW service needs and repairs. Give us a try and visit a legend in downtown Phoenix. We pride ourselves in exceeding your expectations. Great experience at German Auto Service. Professional job for a lot less than the BMW dealer. 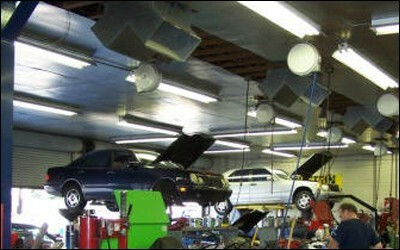 I have taken all my BMWs to German Auto Service for repair over many years of ownership. They have always been reasonably priced and the service performed is always top notch. In addition, the staff is friendly and always keeps me informed on the status of my car, which I feel is very important. Thanks for everything German Auto Service!